Capture Najib was just the first step! 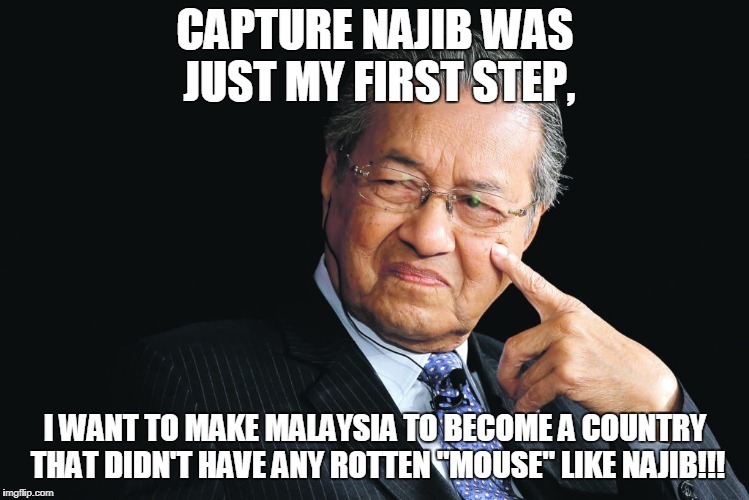 CAPTURE NAJIB WAS JUST MY FIRST STEP, I WANT TO MAKE MALAYSIA TO BECOME A COUNTRY THAT DIDN'T HAVE ANY ROTTEN "MOUSE" LIKE NAJIB!! !